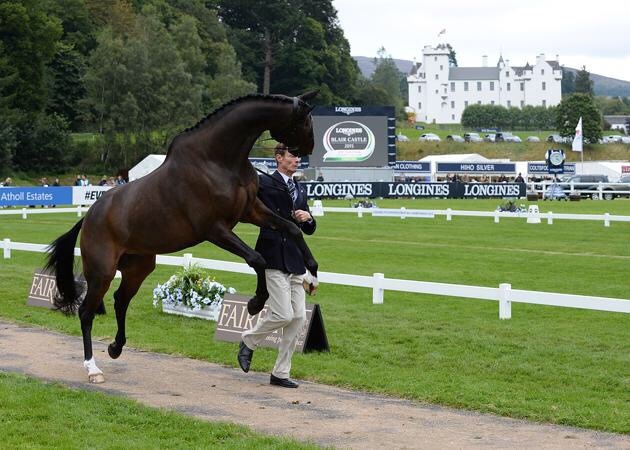 Moonie has passed the trot up, he managed to keep his feet on the ground on the tarmac, which is more than can be said for how he behaved before and after. He is feeling on fantastic form, but will certainly need a little bit of work before his dressage test. The ground has dried up very much in the last few days and conditions are near perfect, it is however not very warm. The cross country course looks fabulous and with several good questions, particularly the Malcolm Lochan combination. However at the moment my assessment would be that there is not too much to challenge the leading combinations.